West Bengal , being a vast and diverse state has always something to offer and its glorious traditions and rich cultural heritage. Besides its cultural heritage, West Bengal also occupies a unique geographical position-an exceptionally varied climate ranging from extreme cold in the Himalayan regions to the heat of plains in the summers.The wealth of cultural tradition extending over thousands of years, the natural surroundings,the architectural masterpieces,the music,dance,paintings,customs,language etc. all make West Bengal a Paradise of India. 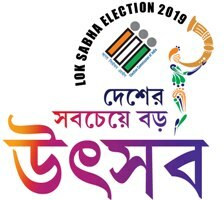 Uttar Dinajpur right from its birth added a feather to the Map of West Bengal. The District of Uttar Dinajpur ( view map) came into existance on 1st April,1992 after the bifurcation of erstwhile West Dinajpur District.The District lies between latitude 25o11' N to 26o49' N and longitude 87o49' E to 90o00' E occupying an area of 3142 Sq. Km enclosed by Bangladesh on the East,Bihar on the West,Darjeeling & Jalpaiguri District on the North and Malda District on the South. Uttar Dinajpur is well connected with the rest of the State through National Highways, State Highways and Railways. NH-31 and NH-34 passes through the heart of the district.The regional topography is generally flat with a gentle southerly slope towards which the main rivers like Kulik, Nagar,Mahananda etc flow. The Distict forms a part of the basin lying between Rajmahal hills on the East. The older alluvium is estimated to be Pleistocene age.Uttar Dinajpur is bestowed with a very fertile soil.The soil is very rich in nature due to the alluvial deposition which helps to grow Paddy,Jute,Mesta and Sugarcane etc. Raiganj on the bank of the River Kulik is the District Headquarter where "Raiganj Wildlife Sanctuary", the second largest bird sanctuary in Asia situated. Designed and developed by NIC Uttar Dinajpur. Information provided by the Office of the District Magistrate , Uttar Dinajpur. Hosted on 01.04.2003.